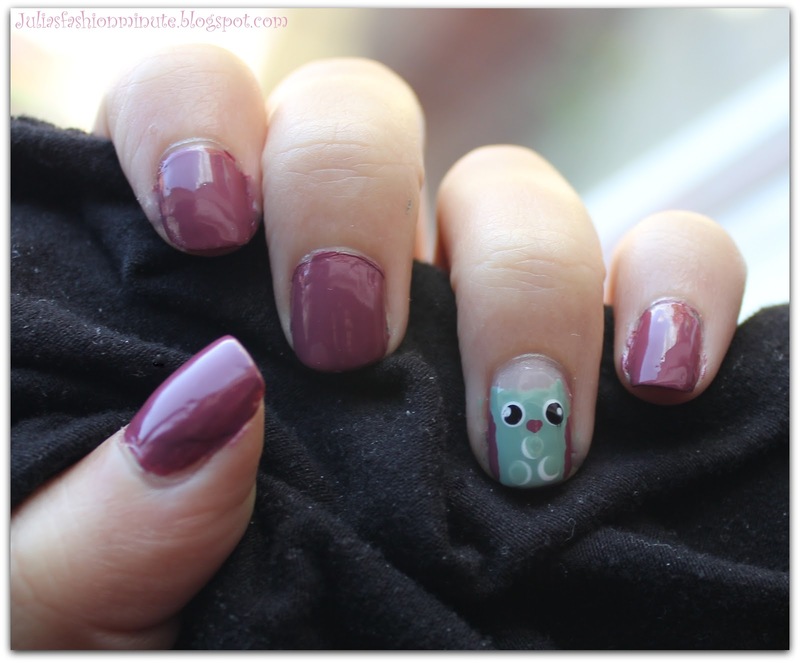 Julia's Fashion Minute: An owl on my nail. An owl on my nail. Yes a second post today. I couldn't decide to do a nail art post or a BB - cream review so I decided to do them both. It's a cute owl. People already gave me a lot of compliments on this cute nail art. I really like it.